To commemorate 317 years (1699-2016) of the formation of the Khalsa Panth. 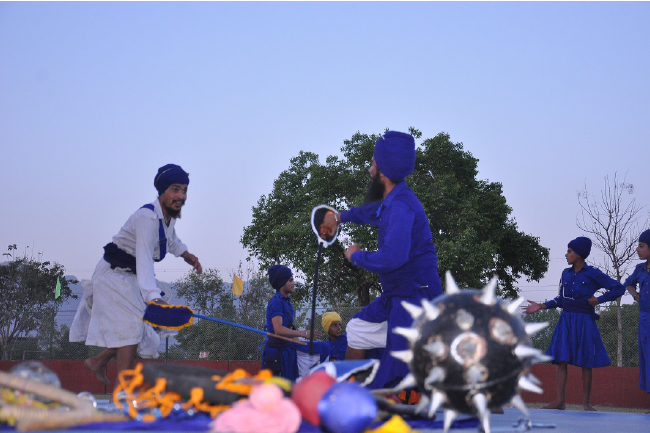 The Anandpur Sahib Heritage Foundation founded by Sodhi Vikram Singh of Anandpur Sahib (committed to promote Sri Anandpur Sahib as a global tourist destination, by drawing attention to its culture, history and heroic traditions), organized the second edition of the popular ‘Khalsa Games’ from 12 to 13th April 2015. This sporting event has become an annual sporting festival that is being celebrated with its culmination on Baisakhi day. Since it was on Baisakhi of 1699, that Shri Guru Gobind Singh Ji had declared the formation of the Khalsa Panth (the pure), an army of soldier saints to combat tyranny and oppression against humanity in any form. The Foundation aims to further strengthen the sporting traditions of the Punjab through participation in the ‘Khalsa Games’. This will be another step in the Foundations objective to strive for a ‘drug free Punjab’ and to encourage the youth of the Punjab to reestablish Punjab as the premier sporting state in the union of India. In addition to traditional sports like Kabaddi and Gatka-Sikh Martial Art the organizers introduced Whushu a Chinese martial arts tradition to create variety and healthy sporting competitions during this festival.